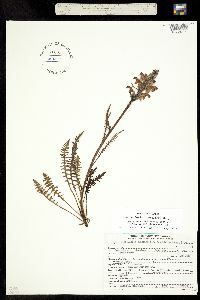 Locality: United States, Colorado, Gunnison, Pass Creek. Gunnison National Forest. Habitat: Slope 5%, SW exposure, soil: organic loam. Meadow. Associated plants SLX CAR PED LON CAL. Occasional. 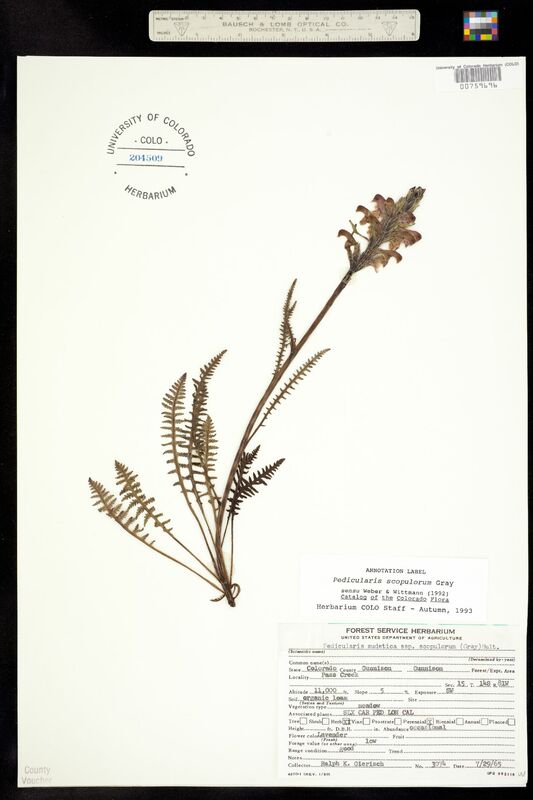 Occurrence Remarks: Original ID: Pedicularis sudetica ssp. scopulorum (Gray) Hulten. Herb. Perennial. Flower color lavender. Forage value low. Range condition good.